Larry Dixon, executive director of the Alabama Board of Medical Examiners, announced his retirement at the end of the year on Wednesday, saying it has been privilege to serve Alabama’s physicians for more than 35 years. 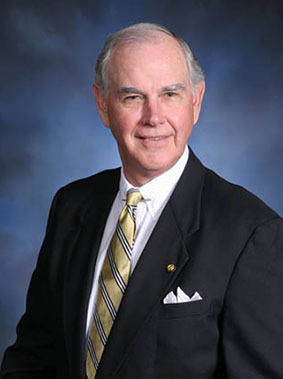 A former member of both the Alabama Senate and State House, Dixon brought his experience with continuing education to the Medical Association of the State of Alabama in 1972 and established the Association’s education department, which has continued to flourish by producing original continuing medical education programs for Alabama’s physicians, as well as nurse practitioners and certified registered nurse practitioners. Dixon served four terms on the U.S. Federation of State Medical Boards and was the first president of the Administrators in Medicine, an organization he helped charter. He has also served on committees of both AIM and FSMB. In 2009 he received the Meritorious Service Award from FSMB, and in 2014 FSMB awarded him the Lifetime Achievement Award. Dixon was inducted into the Alabama Healthcare Hall of Fame in 2016, and also earlier this year, the Medical Association honored him by renaming the building that houses the Alabama Board of Medical Examiners to the Dixon-Parker Building.